‘Fathead’ – A Far-Eastern ‘Mincemeat’? The head of ‘GSI(d)’, one of the the British organisations responsible for deception activities in the Far East in World War II and which was merged in January 1944 with the Special Planning Section to create the ‘D’ Division, was Peter Fleming, a well known writer and brother of Ian Fleming, the creator of James Bond. Early in 1943 Fleming came up with the idea of planting on the Japanese commander on the Arakan front in coastal western Burma a means of feeding false information and thereby providing direct support for the ‘Cudgel’ offensive the British were planning for November 1943. Fleming’s thinking was influenced by the success of ‘Mincemeat’ in the Mediterranean theatre, where a body laden with false information was released at sea for recovery by the neutral but pro-German Spanish, and also by an abortive project by the Special Operations Executive to distract the Japanese from their pursuit of a British officer operating behind their lines by paradropping a corpse which members of the local population would identify as his. Fleming therefore drafted a plan in which the Japanese would locate on their side of the front line an Indian ‘spy’ who had died when his parachute had failed to open, and with the body a radio transmitter, codes and evidence suggesting that he had been accompanied by a Burmese agent. The probability, Fleming reasoned, was that the Japanese would see in this an opportunity to create a deception channel to the British, who could then feed the Japanese false information. This ‘Fathead’ idea began to crystallise in July 1943. 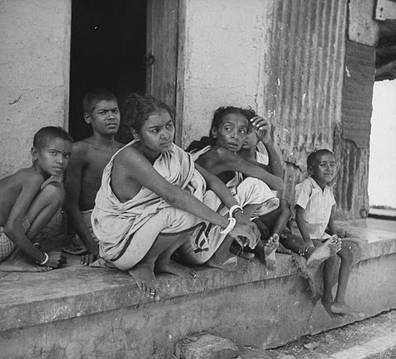 The task of finding the body the plan required should have been simple, for the famine sweeping Bengal was at its height and Bengalis were dying in vast numbers. Yet no suitable body could be found, largely because an emaciated corpse would not serve as the basis for a plausible agent. Time passed and the arrival of the autumn indicated that ‘Cudgel’ would soon start. Even as the search for a body continued, all else was prepared. Extensive testing showed that the least suspicious way to indicate a parachute failure would be to have the static line ending in a broken clip, and the radio set, the codes and all the other impedimenta of an agent were ready. By November, ‘Cudgel’ was on the verge of starting and a full-moon period, which was the only plausible time for such a drop, was approaching and the required aeroplane had been made available. On 11 November, Fleming sent an officer named Gordon Rennie to Calcutta with orders to find a body and carry out the operation. Over a five-day period Rennie searched famine-struck Calcutta, visiting hospitals and mortuaries but locating nothing suitable. The local police promised a body, but also failed. Rennie continued his search and eventually found a corpse suitable for the task, but at the last minute a family claimed the body. 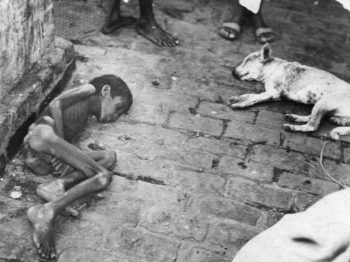 Rennie accompanied the truck-mounted teams, which every day to collect the bodies of famine victims who had died overnight on Calcutta’s streets but, as before, these were too emaciated or too rotten to be of use. Finally, the army hospital at Fort William offered the body of a Bengali Hindu, which was loaded into a lorry and taken to a garage in Alipore on the south-western side of Calcutta. Here it was washed and dressed in Indian clothes with its pockets stuffed with cigarettes, matches, train tickets, a wallet, small change, etc. The prepared body was then pushed into overalls, a helmet was fitted over its head and the body was finally strapped into a suitably misfolded parachute. At 04.00 on 17 November the aeroplane carrying the corpse and two containers packed with the radio equipment and agent’s equipment, together with Rennie, rose into the air from Dum Dum airfield and set course for the selected drop zone some 30 miles (48 km) to the south of Akyab. The pilot later remembered that as he climbed into the aeroplane he looked back at his cargo, which was covered with a white sheet, and saw an arm flop out and dangle down. The flight was smooth, without any evidence of the Japanese, but a strong smell soon became evident, filling the fuselage and cockpit. That this might happen had occurred to Rennie, who had therefore armed himself with a bottle of cologne and cotton masks for all on board. The crew found the drop zone only with difficulty, descended to 800 ft (245 m) and dropped the cargo. By the light of the moon, the members of the crew saw the containers’ parachutes open while the corpse plunged un-braked to the ground, and then turned back to base. After all this effort, ‘Fathead’ proved anticlimactic. The Japanese found the corpse and searched for the imaginary Burmese companion, but did not attempt to use the radio. Another transmitter, together with another set of instructions, was dropped by parachute in case the first had been damaged beyond repair in the original drop, but nothing happened. For six months the ‘Fathead’ team in Calcutta called and listened, but never heard a thing.